Denver Dog Wash | Can I Bring the Dog? Again, I’m on the road and posting not only irregularly, but out of chronological order. Chico and I are headed east and we spent a couple days in the Denver area while I got my tail light cover replaced. Fortunately, I have friends in the area and Chico and I were able to spend lots of time south of the city, on a 90-plus acre farm. But we also spent plenty of time in the dirty city. 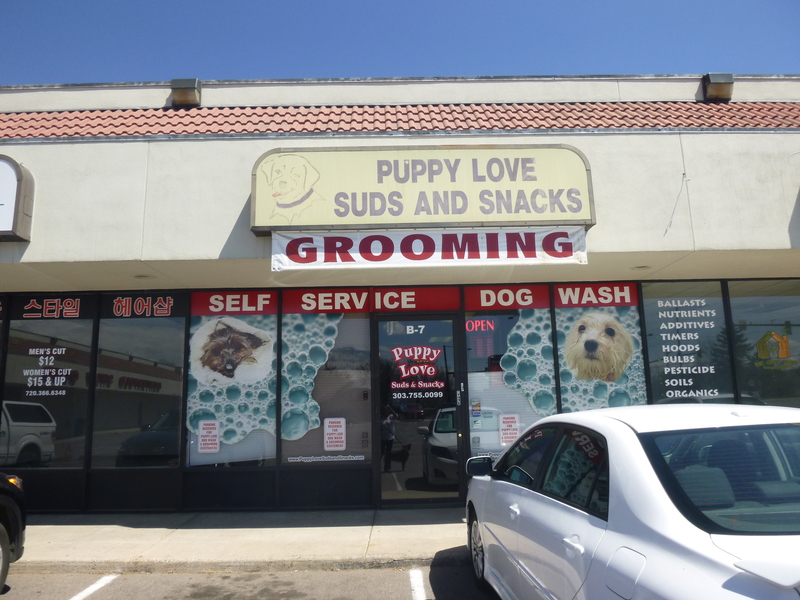 After seeing how dirty I was every evening, I kept an eye out for a you-do-it dog wash.
There’s a small shop, a few self-serve tubs in the back, and a small grooming business. The tubs are behind the wall that is in front of Chico. He’s been bathed at this point, and he’s being a trooper to hold this sit because all he wants is out of there. The whole thing went pretty well until the blow drying which, today, seemed to be real torture for Chico. Once he started snapping at the dryer hose, I just quit while I was ahead, half-dry dog or not. It wasn’t cold out. I didn’t have enough treats or enough time to work through that issue today. It cost twenty dollars to wash my forty pound dog, not too bad an indulgence. 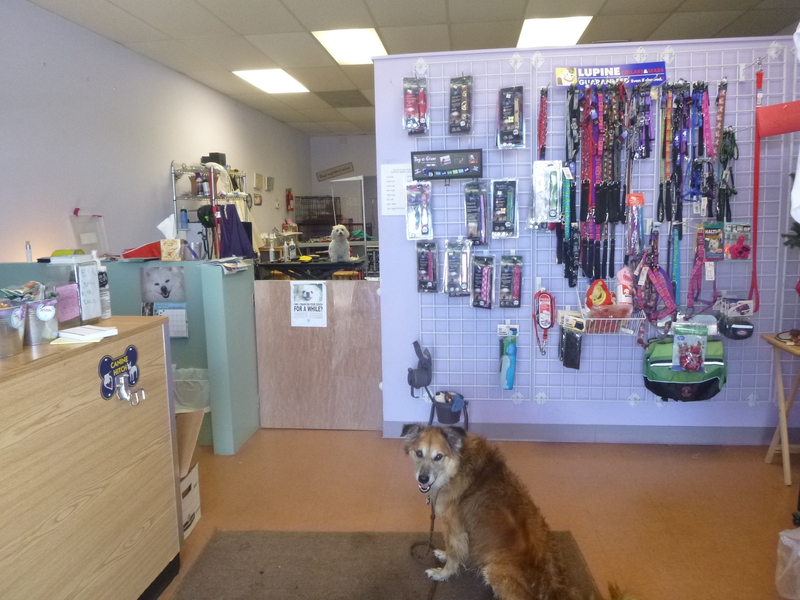 This entry was posted in Uncategorized and tagged Denver area, Puppy Love, self serve dog wash. Bookmark the permalink.